We bring forth an exclusive assortment of optimum quality Talc Powder that is an important industrial material and is highly resistant to heat. 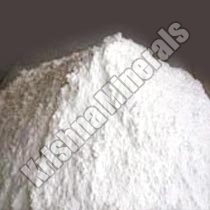 Our array of Talc Powder is high on demand in the market and is widely appreciated by the clients, owing to its purity and high stiffness. Besides, the Talc Powder offered by us can be availed at the most cost-effective prices. Brightness Brightness in Talc grades is available from 75% to 98%.